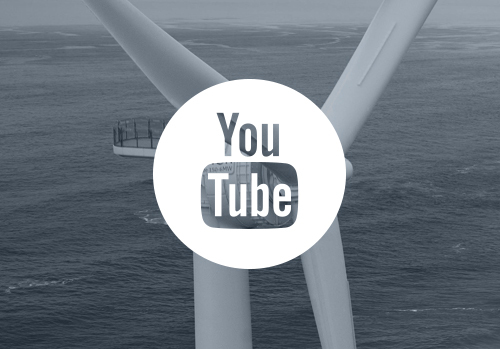 France’s first floating wind turbine to be tested at Croisic site. The Ecole Centrale de Nantes’ marine test site SEM-REV will shortly play host to the Floatgen floating wind turbine prototype. The trial involves seven partners from four European countries. 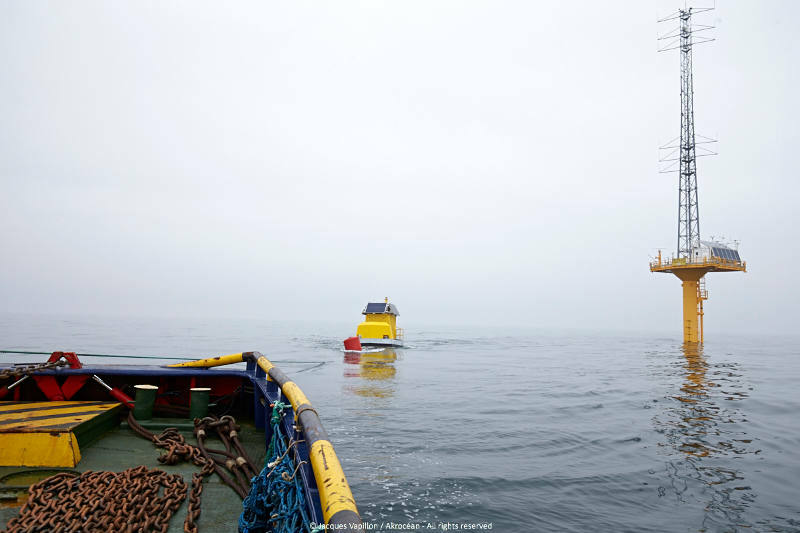 Work began at the start of 2013, and a floating prototype is now ready for testing at the Ecole Centrale de Nantes’ marine experimental site. The 2MW turbine will be designed by the Spanish manufacturer Gamesa, and sit atop a Damping pool floater developed by French company Ideol. 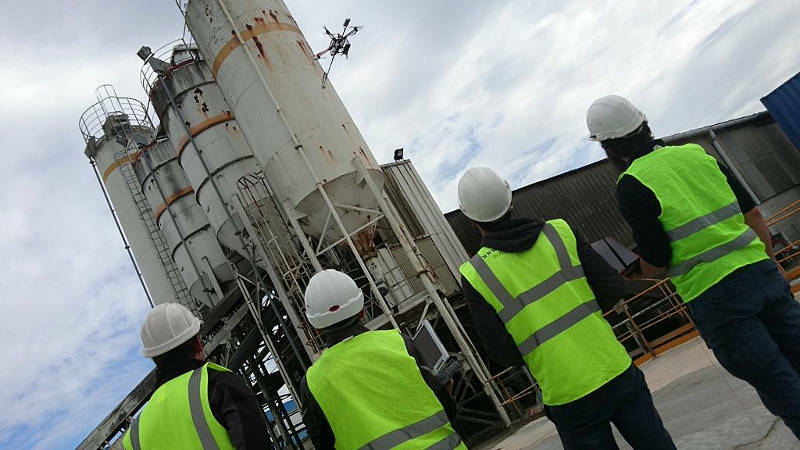 The University of Stuttgart will be involved in monitoring and assessing environmental impact. Communications for the project will be managed by the German Fraunhofer-Iwes Institute and the English RSK agency. Finally, Spanish consulting firm Zabala and the Ecole Centrale de Nantes will cooperate on the sea tests. 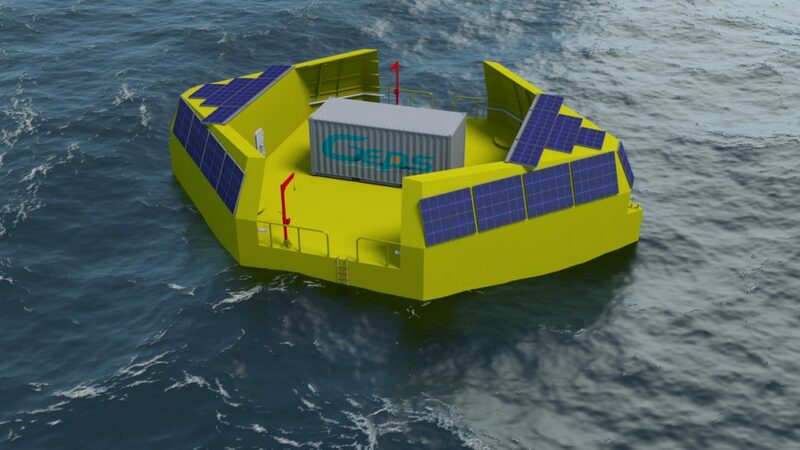 The project will enable the turbine to be tested in combination with its floating foundation, evaluating both the technical feasibility and cost effectiveness of the technology. 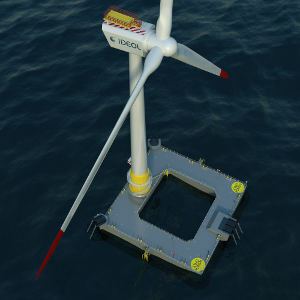 Floating turbines would enable offshore wind farms to be sited in deep waters, greatly increasing the zone where wind can be exploited. *The Winflo project is currently being reorganized.